SACRAMENTO, CA (MPG) - The Sacramento Children’s Home has kicked off its annual Holiday Giving Program, bringing the local community together during the holidays to serve children and families in need. Last year, our program provided gifts for 1,200 children, and the community adopted nearly 70 families, providing them with gifts, gift cards and everyday essentials. Once again this year we have 1,200 children participating; many of whom the gifts they receive through our program will be the only gifts they receive this year. The holidays are a joyful time when we can give thanks for all that we have and give back to those in need. There are several ways for community members to get involved with the SCH Holiday Giving Program, which ends December 14. Wish Stars and Ornaments: The classic yellow wish star includes three wishes from an SCH child. Community members are encouraged to shop for their child and return unwrapped gifts to the Sacramento Children’s Home at 2750 Sutterville Road in Sacramento. Financial contributions of $25, $50, $100 or more, as well as gift card donations help us ensure that all kids and families have their holiday wishes fulfilled and basic needs met. Some male youth in our Residential Program do not have family to spend the holidays with, so financial support specific to our snow trip enables us to send our residents on a snow trip to Mt. Shasta over the holidays. Adopt-a-Family: Community members can also adopt an entire family this holiday season. 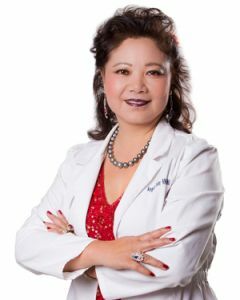 The adoptees are families that participate in Sacramento Children’s Home programs such as the Family Resource Centers and the Counseling Center. Volunteer Opportunities: Every year, we rely on community volunteers to help run our holiday donation site. Last year, about 200 volunteers provided nearly 100 hours of support, which included greeting donors, accepting gifts, registering gifts into our system, sorting, and wrapping. Giving Tree Sites and Holiday Sponsors: Local businesses and schools participate by hosting Giving Tree sites with stars available to the public for pick up. Businesses and corporations also have the opportunity to sponsor an SCH Holiday Party for individual programs such as our Family Resource Centers and Crisis Nurseries to help strengthen families in our highest risk communities. For more information about all of these options and important dates, please visit www.kidshome.org/holiday-giving. 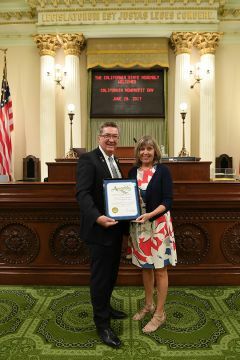 Sacramento, CA (MPG) - Assemblyman Ken Cooley (D-Rancho Cordova) recently honored the Homeless Assistance Resource Teams (HART) of Citrus Heights and Rancho Cordova as the 8th Assembly District’s 2017 Nonprofit of the Year. Each year, the California Legislature hosts the California Nonprofits Day Celebration to recognize nonprofit organizations that make significant contributions to their communities. HART is a volunteer-run group of businesses, congregations, and individuals that serves as a resource for those facing extreme poverty and chronic instability by connecting people in need with local services. The HART philosophy is rooted in the idea that resources must be accessible in order to be utilized, and the homeless populations of Sacramento County face many barriers between services. Open communication between local government, business owners, faith-based organizations, and passionate individuals fosters an atmosphere of collaboration and helps to bypass some of these major barriers to assist those in need of key services. Assemblyman Ken Cooley represents the 8th Assembly District. The awards were presented on Wednesday, June 28. Sacramento, CA (MPG) - Despite housing 2,232 individuals and families who were experiencing homelessness in 2016, a new report commissioned by Sacramento Steps Forward and authored by Sacramento State’s Institute for Social Research confirms that homelessness has increased across Sacramento county in the past two years. According to the report, titled “Homelessness in Sacramento County: Results from the 2017 Point-in-Time Count,” the total number of people experiencing homelessness has increased by 30 percent to 3,665 since 2015. Among people who are unsheltered, a subset of the total population who are living outdoors on the street, in tents, cars, or RVs, the number has increased by 85 percent to 2,052. Approximately 31% of people who are unsheltered are chronically homeless, meaning they have experienced prolonged bouts of homelessness and are disabled. In addition to overall increases in homelessness, the report found a 50 percent increase in the number of homeless veterans since 2015, up to 469 people. The majority of these veterans are unsheltered. 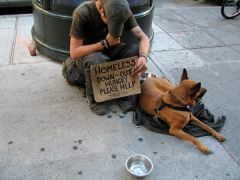 Veterans continue to make up approximately 13 percent of the total homeless population. Individuals who reported continuous homelessness tended to be substantially older and were often encountered in encampments near the American River Parkway, in contrast to younger people who were downtown. Older chronically homeless individuals – between 55 and 64 – were also more likely to report being a veteran or suffer from a disabling medical condition. "This news affirms what is already evident to the people of Sacramento, the question is what are we going to do about it," said Sacramento Mayor Darrell Steinberg. "We are going to implement the city's $64 million Whole Person Care grant together with our public housing resources to get 2,000 people off the streets as soon as possible. No excuses, no boundaries, action and results are all that matter." There were drops in the numbers of families and transitional age youth who were found to be homeless, which is a testament to the work of homeless service providers, but these groups are traditionally hard to survey for this type of report so the findings may not accurately capture a true census of these communities. The report cites the housing drought as a potential factor in the rise of homelessness and explains that the trend in Sacramento is consistent with other communities who have tight housing market conditions. The report also explains the potential impact of flooding on the American and Sacramento rivers and improved statistical methodologies. The rise in homelessness between 2015 and 2017 in Sacramento County is consistent with similar increases recently reported across the state. At the time the report was written, Alameda County reported a 39 percent increase in homelessness, a 76 percent increase in Butte County, and a 23 percent increase in Los Angeles County. Sacramento Steps Forward commissioned this report as a part of its biennial point-in-time count, which is a county-wide census of people experiencing homelessness. It provides a snapshot of who is homeless on a single night. The U.S. Department of Housing and Urban Develop requires local communities to conduct this census every two years as a condition of receiving federal funding for their Homeless Continuum of Care, for which Sacramento Steps Forward is the lead agency. The point-in-time count was conducted on January 25, 2017 by nearly 400 trained volunteers who fanned out across the county to count and survey people living on the street, in tents, cars, and RV’s, while a data team documented the number of people sleeping in emergency and transitional shelters. 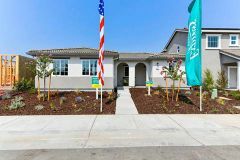 The point-in-time count and this report were made possible thanks to funding from the County of Sacramento, U.S. Department of Housing and Urban Development, and Sacramento Housing and Redevelopment Agency. Sacramento Steps Forward is a 501(c)(3) non-profit homeless service agency who, through collaboration, innovation, and service, is working to end homelessness in our region. Founded in 1989, Sacramento State’s Institute for Social Research (ISR) is an interdisciplinary unit that harnesses the power of scientific research tools to address social problems. Their research and analysis expertise, learned through the hundreds of projects completed for government agencies, nonprofit organizations and the academic community, provides the region with actionable information that can inform key policies and decisions. Local homeless children need your help! Project 680, a grassroots organization led by local residents with the mission of supporting homeless students in Rancho Cordova, is kicking off its Spring Drive on Monday, March 6th to collect clothing and other necessities. In 2008, a group of community members joined forces to hold a sock drive for the homeless youth in our area. After learning from Folsom Cordova Unified School District (FCUSD) that there were 680 homeless students in our community, Project 680 was born. Today, there are over 800 documented cases of homeless students in the Folsom Cordova Unified School District, as well as their 75 infant and toddler siblings. The Project 680 team works with FCUSD to determine what the students need, and this year the items needed most are new socks and underwear in all sizes. Hooded sweatshirts, full size hygiene products, and gift cards to local eateries, such as Subway and McDonald’s, will also be accepted for the high school students that are living in shelters. You can drop off your donations at Rancho Cordova City Hall, 2729 Prospect Park Drive, from March 6th through April 7th. Cash and check donations are also accepted. Checks can be made payable to Cordova Community Council, Project 680’s 501c3 sponsor, with “Project 680” in the memo. Visit www.fcproject680.org for more information.